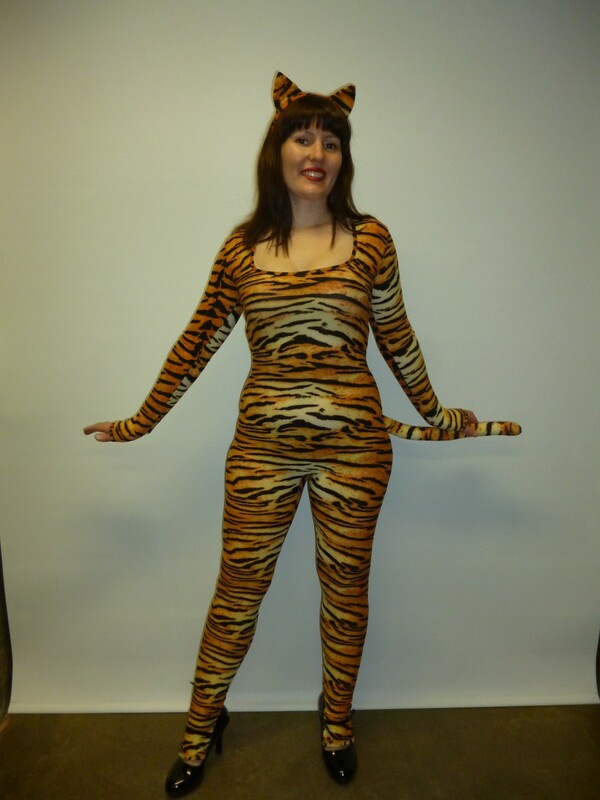 This spandex jumpsuit will bring out the wild in anyone! Comes with jumpsuit and headband. Shoes and Wigs also available. Perfect for a Jungle party theme.